Natural hybrid of rotunda x capitata. From BCR - "Mature rosette to 30cms. diameter x 25cms. high with 10cms. 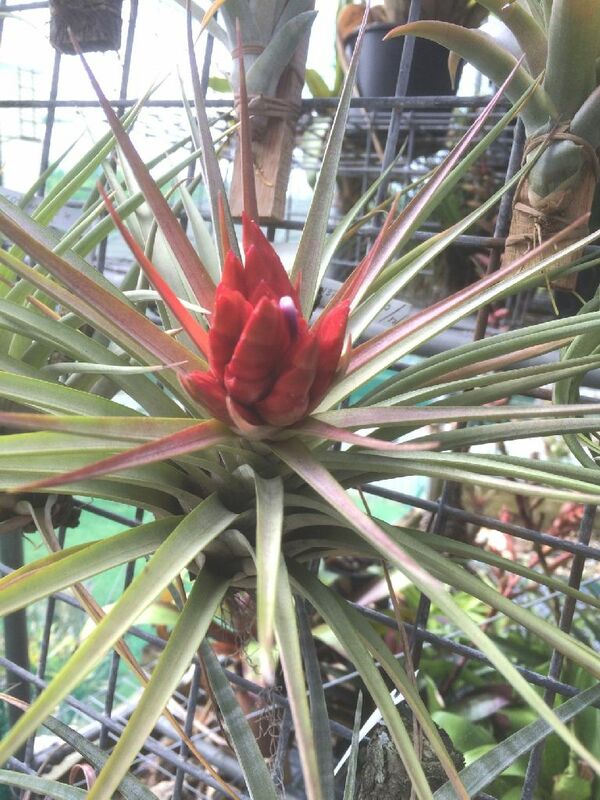 long inflorescence. Wild-collected by a Guatemalan nursery prior to 2005. Confirmed as a natural hybrid by Harry Luther. Reg Doc. 8/2011 by D. Cathcart. Update 10/2015. 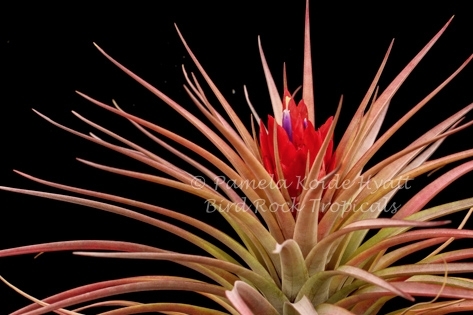 See also TX137 from Bird Rock Tropicals. See T. 'Hal's Nidus' for a discussion about 'Coquette', 'Hal's Nidus' and 'Minor'.